A portable fire extinguisher can put out a small fire before it gets too large to put out without help from others. A conveniently placed extinguisher can truly be a life saver. The chance of you experiencing a fire is diminishing as businesses, homes and appliances are becoming safer due experience and education. As we study fires in homes and businesses we learn more and are able to reduce the chance of accidental fires. 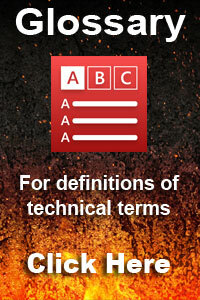 We also learn more on how to prevent intentional fires by using fire resistant materials and automatic fire systems. As a side benefit of the study of fires and safety, building codes have been modified to allow the the easy exit of buildings. For example 30 years ago doors commonly opened inward. Now you will see doors that open outward to allow exit without having to pull the door open then exit. The size and placement of lighted emergency exits have been greatly improved to allow safe exit from public places. Portable fire extinguishers are a big part of the safety program and used to prevent the loss of life and property. 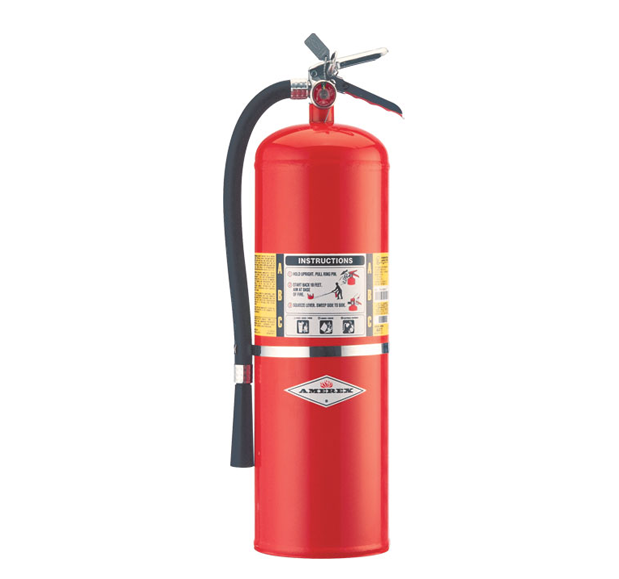 If you have a business you are required to have at least one portable fire extinguisher. 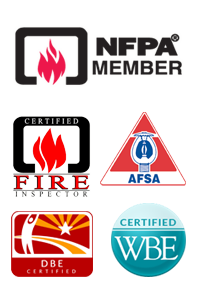 You will also be required to have it inspected or serviced annually. Your insurance provider may require them to be inspected more often if they feel the need is justified.